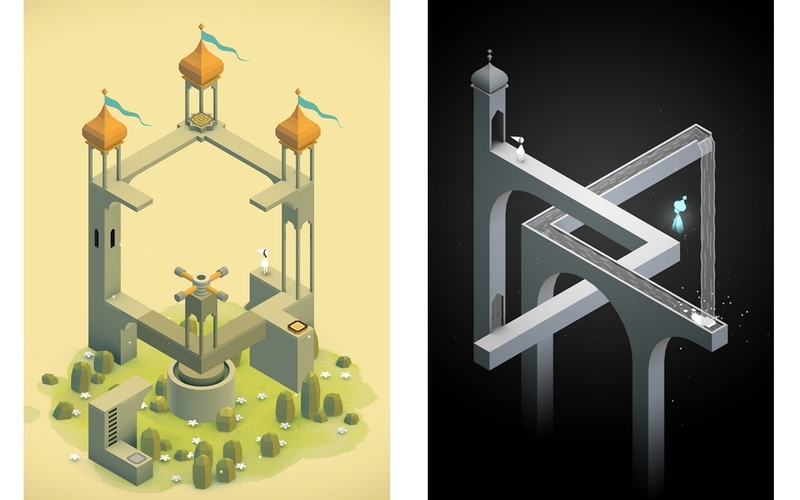 One of this year’s biggest treats in mobile gaming, Monument Valley, has made the transition from iOS to Android intact. While short, this M.C. Escher-like adventure, which follows a nameless little girl through a series of ten levels, is one of the finest mobile experiences I can remember. The UK-based company, ustwo, which produced popular games Whale Trail and Blip Blup for iOS and Android, spent months designing the game, which costs $3.99 without any in-app purchases. The Android version was ported using Unity’s popular cross-platform gaming engine, which the dev studio said helped them save thousands of hours in coding. Much like the Quake 3 and Unreal 3 engines of the PC era, Unity has become the de facto tool for creating cross-platform mobile games, and has been adapted to work with Windows Phone 8 and BlackBerry 10. ustwo says that the iOS version of Monument Valley has been downloaded 500,000 times in its month of availability, a staggering number these days for a $3.99 game. Even if you’re only a casual Android gamer, it’s worth checking out Monument Valley for its style and commitment to detail.